This almanac was first published in The Bermudian in December 2002. 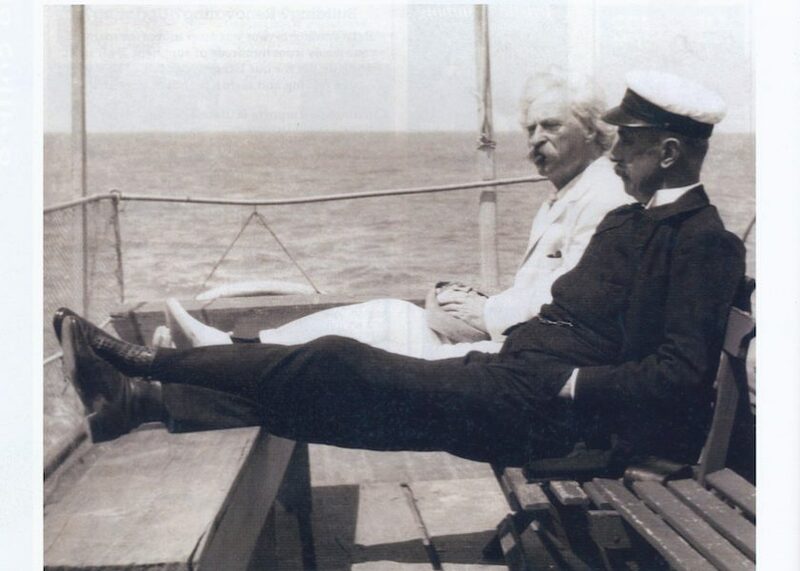 Author Mark Twain, accompanied by Earl Gray, governor of Canada, is seen sailing in local waters. Twain, a regular visitor to Bermuda, fell in love with the island when his steamer stopped here in 1868 on its way back to the U.S. from Cadiz. Twain was so captivated by Bermuda he encouraged other writers, among them William Dean Howells and Charles Dudley Warner, to take a break from the stresses of American ‘modern life’ by vacationing here. “You can go to heaven if you want – I’d rather stay here,” he wrote to a friend from Bermuda, shortly before his death in 1910. Bermuda was blanketed by ice on Christmas Eve 1840, for the first time in living memory. The Royal Gazette reported: “Ice of considerable thickness was formed on low ground, in the neighbourhood of the Marshes in various parts of the Islands, but more particularly in the Parishes of Warwick, Paget, Pembroke and Devonshire.” The ice was a quarter of an inch thick. It damaged vegetation, leaving black and withered plants in its wake. The Island’s oldest residents could not recall experiencing a similar storm.